I like to rotate my skincare regimen based on the active ingredients. I usually go back and forth between anti-wrinkle/firming products and brightening (or "whitening", some say) ones. Seeing any visible difference from a skincare product is a rare thing to begin with, but brightening skin tone (not to mention erasing dark spots!) is a notion that is plain ludicrous. Having said that, I still use brightening products periodically because I also know from my experience (although most of it was frustrating) that it does make difference if I use them consistently and correctly. After another term with Avène retin-aldehyde products, I chose Kose Sekkisei line for my following brightening regimen. 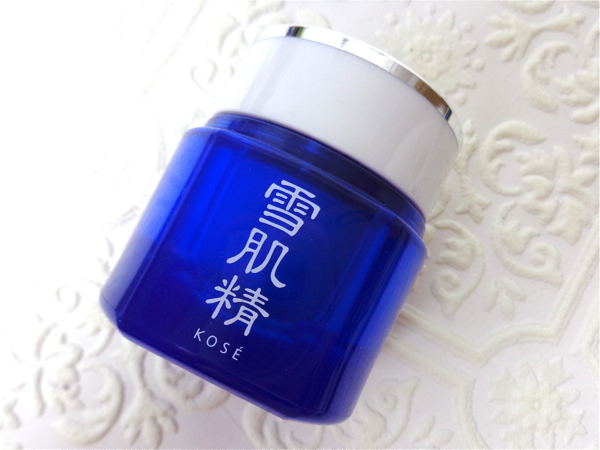 Kose Sekkisei line has been around close to 30 years now, which was the main reason for my choice. That kind of thing speaks louder than anything, and I didn't mind having pretty blue things on my vanity for a while, either. You can find the detailed product information HERE. 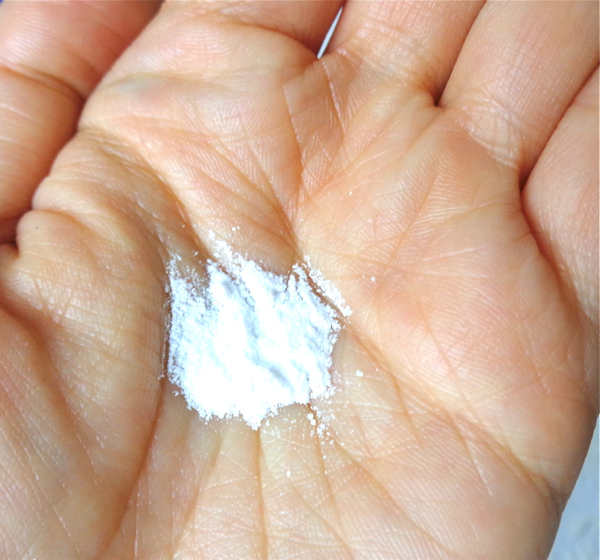 This is in a traditional white powder form and lathers really well. The instruction says you need a quarter size, but I need way less than that otherwise I would be buried under the gigantic foam. Also, this is a great value since you only need a tiny bit. I know the bottle would last me at least a year. 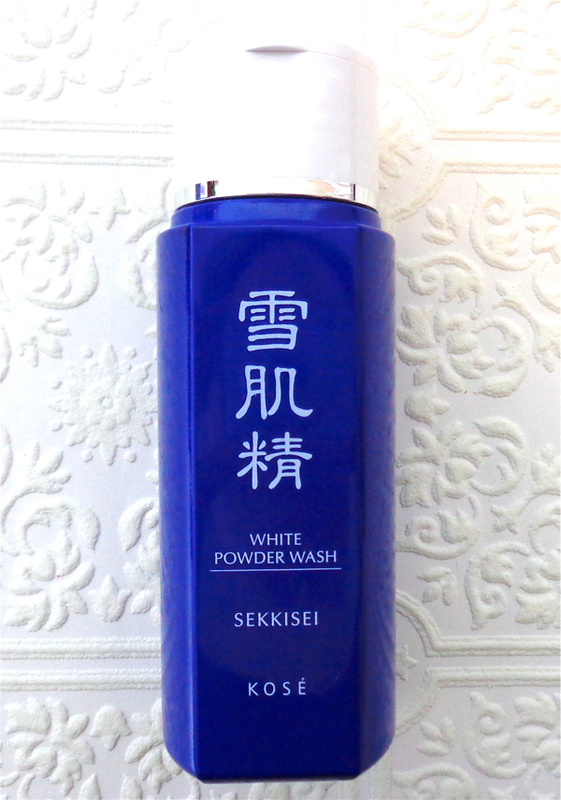 It does a wonderful job throughly cleansing my face both in the morning and in the evening following after Seikisho Perfect Cleansing Oil. If you're used to the slippery feel of most gentle foaming cleansers, you might even find it squeaky clean. This does not necessarily mean it is drying. I think it will suit most except for very dry skin. My face feels cleaner and brighter with this. I find some cleansers end up drying my skin with overtime use, but I did not experience any drying effect even after three months. This is the star product of the line. I don't use it to finish the cleansing process, which would be a common western concept of using toner. Instead, I simply apply it over cleansed face to prep the next moisturizing step, and this would be a common understanding for "lotion" from most Asian skincare lines. 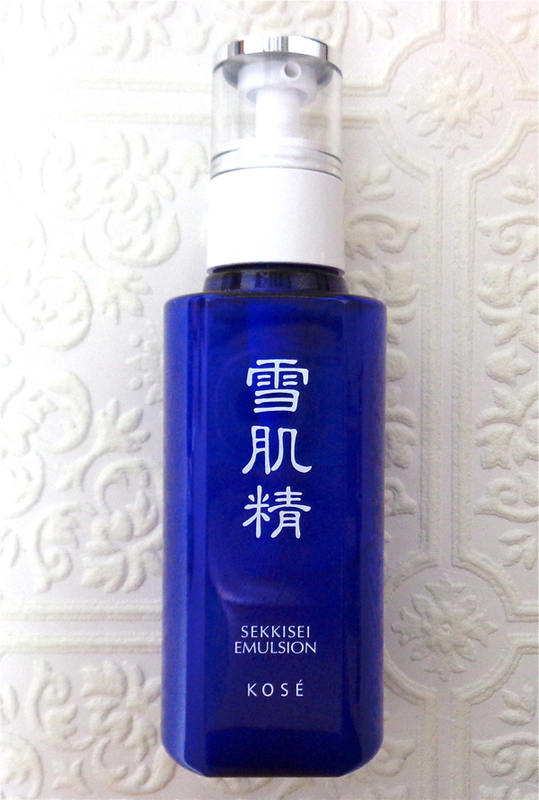 Sekkisei lotion is slightly milky liquid that contains alcohol. Again, it does not dry out skin despite of the alcohol content, which I find quite interesting. 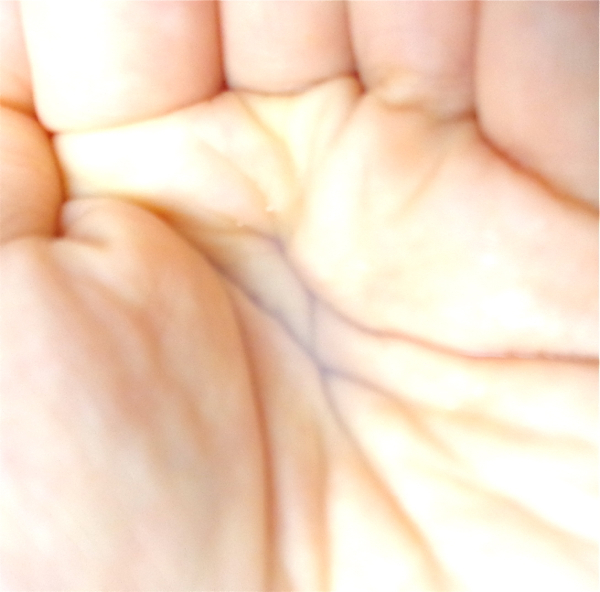 Emulsion and cream apply better after this step making a quite noticeable difference in skin texture. However, I love to soak fine cotton pads with this lotion and use it as mask. I try to do this once a week to calm and brighten my skin and it seems to be working better than anything else I have used in the past. I am seriously considering repurchasing a bigger bottle. This has a very liquid-y serum-like consistency. It is also lightly fragranced with herbal floral scent and simply a pleasure to use. This light texture is somewhat deceiving since it is very hydrating and the effect is long-lasting. I usually use it in the morning under my sunscreen, and it is enough to withstand the recent colder weather. Sometimes I apply this moisturizer twice using a small amount each time then take a nap. Maybe it's the nap not the emulsion, but it works a wonder on my skin. This jar container is a clear mistake since the cream is also very light and almost like gel. However, this cream is even more hydrating and nourishing than the Emulsion. I find it perfect to use in the evening. I generously apply this cream on my face and neck, and I usually wake up with supple and brighter skin in the morning. Overall, I am in love with this line and even sad to see I am almost done with it. 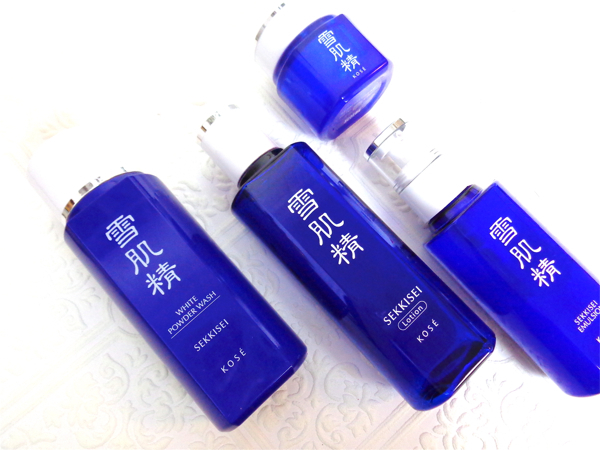 I love the fact Sekkisei relies on the natural ingredients like Chinese herbs and Vitamin C where many other brands use potentially hazardous ones like Hydroquinone and Kojic Acid. At my age, I cannot just look at the "brightening aspect", so knowing the active ingredients in Sekkisei is also effective in anti-aging is another plus. More importantly, each product is very hydrating and seamlessly working with each other that it has been very easy for me to stick with the regimen for more optimized results. No miracle has happened, but I notice positive difference just the way I just expected. I had to work up my biggest courage, but here is my bare face picture taken right after a shower. Sure, I brightened the heck out of it which is already much smaller than the product pictures above, but still.. Thanks for reading this lengthy post! 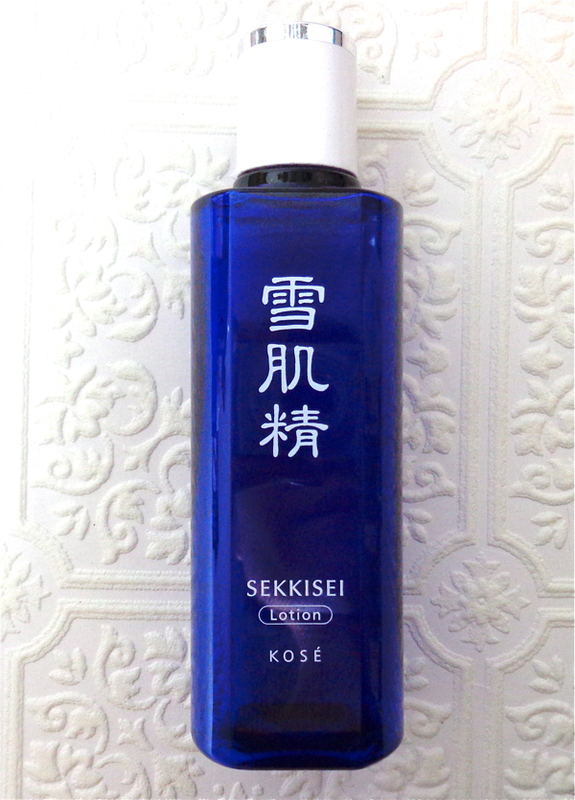 Have you tried Kose Sekkisei? What is your favorite brightening skincare line?